Window tinting reduces solar energy that comes in through the windows by up to 90%. Additionally, it blocks 99% of damaging UV rays from entering your home. Moreover, it reduces excessive heat indoors. It also helps prevent skin conditions such as skin cancer and premature ageing. Professional home window tinting will reduce daytime glare. Which often results in eye strain. Excessive glare also increases fatigue. High-quality house window tinting will reduce a significant amount of heat indoors keeping heating and cooling costs down. The suns damaging UV rays can be reduced by 99%. These UV rays cause the fading you see on your furniture, carpets, wooden floors and fabrics. Window tinting can reduce the suns heat by up to 75% through your home or business windows. Which in turn reduces the energy consumption needed to cool down your home after a warm day. Don’t block your views with shades or blinds, rather enhance it. Making your home or office more enjoyable without the sun causing excessive damage and unbearable heat. Tinted glass will transform your normal glass into cost-effective heat reflective glass. At a much cheaper price than factory tinted windows. As a matter of fact, it can reduce heat flow through your windows by up to 91%. While blocking up to 99% of the ultraviolet radiation. Furthermore its an excellent insulator on cold nights. The tint can also prevent falling or flying pieces of glass. Furthermore, broken glass injures thousands of people every year. Some are even killed by lethal shards. We can’t predict when glass my break. We can prevent it from smashing into dagger-like objects that harm us. People all over the world use smash and grab. Ranging from homeowners that live on golf courses to store owners that have expensive products on display in their windows. It has become common practice to use it on commercial vehicles. They may not want to show what they are carrying to eliminate attacks while on the road. There are many benefits of window tinting. Below is a list of the twelve most popular benefits of getting your home or vehicles windows tinted in Johannesburg, Pretoria, Durban or Western Cape. People often think that ultraviolet light is the only thing that causes fading. However, there are four major factors that contribute to fabric fading in Johannesburg, Pretoria, Durban and Western Cape. Window tinting Johannesburg has ultraviolet inhibitors in the tint that rejects up to 99% of the ultraviolet that comes through your windows. In addition, it minimizes fading, you need to reduce as much glare and heat as possible. Tinting is effective in prolonging the life of upholstery, carpets and artworks. Additionally, furnishings and flooring will be protected from fading. Moreover, it can be installed on your vehicle windows. Reducing the fading effect on your interior. Also used on residential and commercial buildings. Reducing fading and damage done by UV rays. The window tinting price in South Africa will vary from home to home. Additionally, it depends on the product that is used and what area you are in. Some of the products carry a 3-year warranty. The best products carry a 5 – 10-year warranty. Furthermore, depending on the quality and composition of the tint, the window tinting price will be adjusted accordingly in South Africa. Window tinting Johannesburg is a revolutionary way of protecting yourself. In addition to your family and workers. Additionally, protection from various man-made and natural disasters. Assuring safety and peace of mind. South Africa is in the middle of an energy crisis. Moreover, we all need to do our part to save power consumption. Glass tinting will help with the power crisis. In fact, it will save you money on heating and cooling bills in your home or business. Use tinting with think pink aerolite ceiling insulation or polyester eco-friendly insulation for an energy efficient home. Window tinting Johannesburg offers significant protection against smash and grab incidents on your vehicle and forced entry at home. Additionally, it protects you from flying glass shards and splinters. It does this by holding your glass firmly in place. In the event of an accident, or a smash and grab situation in your vehicle or at home. Moreover, it helps protect your business and assets. Protecting you from damage and loss in the event of a bomb blast or looting attack. Window tinting eliminates fading of the upholstery in your vehicle as well as removes the glare. In addition, your air-conditioning works more efficiently. Saving your fuel. Furthermore, your vehicle is under solar attack every day, and it’s only getting worse with our ozone layer depleting. We feel it more in summer when the inside of your vehicle becomes unbearably hot. Protect your vehicle and get rid of the hot sun forcing its way in. It damages vehicle interiors. The air-conditioning that is overloading on hot days reduces your vehicle’s power and uses more fuel. There is a solution to this problem. Moreover, it’s an effective radiant barrier, that gets rid of fading, heat and glare, and protects your investment. How Long Does Window Tinting Last On a Vehicle? On average, most of the window tinting Johannesburg installed on building and vehicles will last around 5 years. This does also depend on how much time your vehicle spends in the sun over the years. Full sun every day will increase the fade time of the product. The higher quality window tinting products will last up to 10 years. Furthermore, they do cost more to install but last twice as long. Carbon or ceramic tint can often have a full lifetime warranty. Why Do Some Tinted Windows Look Purple? Have you ever wondered why some window tinting Johannesburg has a purple look to it? The reason it looks purple is that a low-quality tint was used on the glass. It will look ok for a few months then start fading quite rapidly and changing colour. This usually happens when cheap dyed tint was used. How Long Does It Take For Window Tinting To Dry? The time it takes for window tint to dry really depends on the weather. Moreover, if the tint is exposed to sunlight, it could dry within the hour. If you have overcast and cloudy weather the window tint could take a few days to dry. Electricity is wasted in so many ways in our apartments and homes. People often leave lights on in empty rooms and also the air-conditioning systems used are inefficient. These are a couple of examples of how electricity is wasted in South Africa. Window tinting film is a cost-effective solution to this problem. The amount of energy that is required to cool down rooms or spaces that are heated by sunlight is enormous. On an average, about one-third or about 30% of a buildings cooling load is the consequence of solar heat through the windows. Yet this source is undermined. It’s true that a window is essential for an outside view and it provides lighting that reduces the need for artificial lighting. But when the amount of daylight is increasing, it also means more power for cooling to make the room comfortable. A solution to this dilemma is the application of window tinting film. Window film is very easy to use and applied inside section of a window. It absorbs and reflects solar heat. In the process, it reduces the need for cooling and also helps to maintain a comfortable temperature. Due to the directional orientation relative to the sun, some part of buildings can be categorized as “Hot Spots” in Johannesburg, Pretoria, Durban and Western Cape which receives more heat than the other parts. It can create some issues for the air-conditioning system while maintaining the occupant’s comfort in a facility. Some buildings have large glass areas which need additional cooling for maintaining comfort. To maintain uniform and comfortable cooling, reducing the heat gain through the windows is essential. Home window tinting film focuses on blocking solar radiation. There are basically three components of solar radiation or solar energy. 53 per cent of the solar spectrum is near infrared, 44 per cent is visible light and 3 per cent is ultraviolet. Most of the sun rays are transmitted through the glass and a very little portion is absorbed and reflected. A pane of clear glass can reflect 6 per cent, absorb 5 per cent and rest is transmitted. These transmitted solar energies enter a room or space and combine with the ambient heat which is already there due to people, computers and re-radiated heat absorbed by furniture and carpeting. The excess heat makes the environment uncomfortable particularly for people near the windows. The constituting materials of window tinting film enable it to absorb and reflect the solar energy. Window tinting films are made of metallic coating which includes aluminium, stainless steel, silver or a combination of these. Most part of the absorbed radiations is re-radiated outward and some is re-radiated into the building in Johannesburg, Pretoria, Durban and Western Cape. The performance of home window tinting film can be measured by a solar heat gain coefficient. One can easily find the amount of energy transmitted through the glass and the amount that is absorbed and re-radiated by solar film. Some window tinting film can reject almost 80% of the solar heat. Usually, this efficiency depends on the materials used. One important thing to remember is the solar heat rejection and the near infra-red rejection is a completely different thing. Solar heat rejection is the measure of all the solar heat radiation that is rejected while near infra-red rejection is only the amount of that particular frequency which is rejected. Window tinting film can really reduce the heat gain and it will save your money. The electricity bill for cooling will be reduced by quite a large extent. Another major fact is that there are different rates and charges for higher demand peak or highest monthly rate of use in Johannesburg, Pretoria, Durban and Western Cape. With the help of window tinting film, electricity consumption can be reduced to some significant extent during the peak and charges for peak demand can be saved along with the electricity bill. For its ability to save energy it is recognized as one of the modern energy saving techniques along with ceiling insulation. These characteristics have attracted so many large utility companies. They offer a large number of incentives and repayments for the installation of the window tinting films. 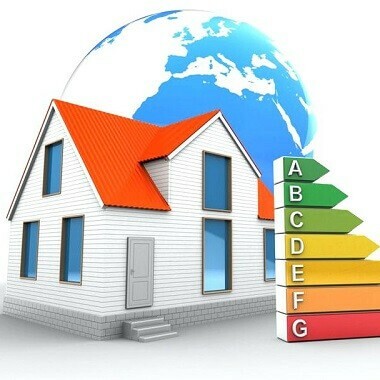 Many energy service companies are also using this product in order to achieve a much higher energy efficiency rating. Saving energy and cost by reduction of heat gain is not the only advantage of window tinting films. Most of the products reject almost 95% to 98% UV rays. These UV rays do not increase the heat. However, they can harm people and other materials. Window films protect people from the dangerous effects of UV light. Also, the furniture and other building materials are saved from UV rays. Using car window tinting also prevents the UV rays from entering your vehicle while driving. Visible light is sometimes annoying especially when they are reflected in smooth or glazing surfaces. The amount of visible light entering into a facility is also reduced by window tinting film. Depending on the materials used and the type of films, a significant quantity of visible light can be blocked. No need to wear shades in the house to prevent annoying visible lights. 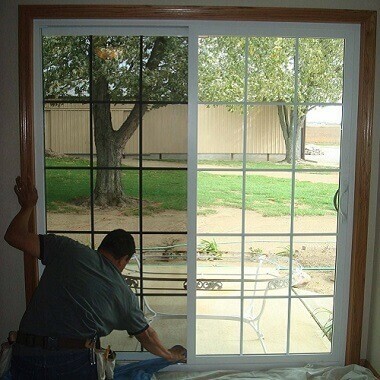 Wet Glazed Installation: This process involves removing the rubber around the window. After that, the space between window and film is filled with structural silicone sealant. Mechanical Attachment: In this process, the film is overlapped around the edges of the window. Bolts are attached with an internal film after that. 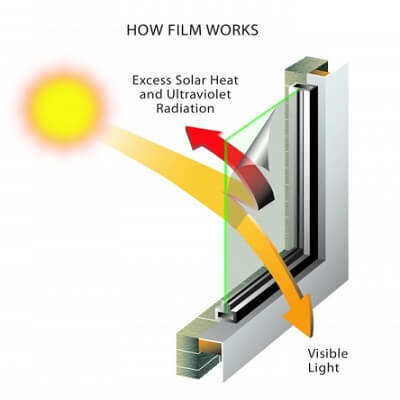 Choosing the right film depends on the types of windows and energy needs of a building. For example, if a building is designed to be lighted by daylight, they can choose the window tinting film which allows passing visible light and rejects infra-red lights. The amount of visible light transmission usually ranges from 35 to 70 per cent. These films are known as spectrally selective films. Another important thing is the type of glass that is used in the window of a facility. There are different glasses in Johannesburg, Pretoria, Durban and Western Cape and for those different types of windows, films are also available. So it is better to know the glass type before applying window tinting film. Safety and security of the occupants are one big concern for everyone. Manufacturers are aware of this and they are producing special smash and grab tinting which the main purpose is maintaining security and safety. These films stop broken pieces of glass from flying during some disastrous situations like bombing, hurricanes, earthquakes etc. They also reflect solar heat to some extent. The thickness of these home window tinting films varies. Normally 4 to 14 millimetres is the range of thickness. The installation process of these films is different. Get a window tinting price South Africa today.